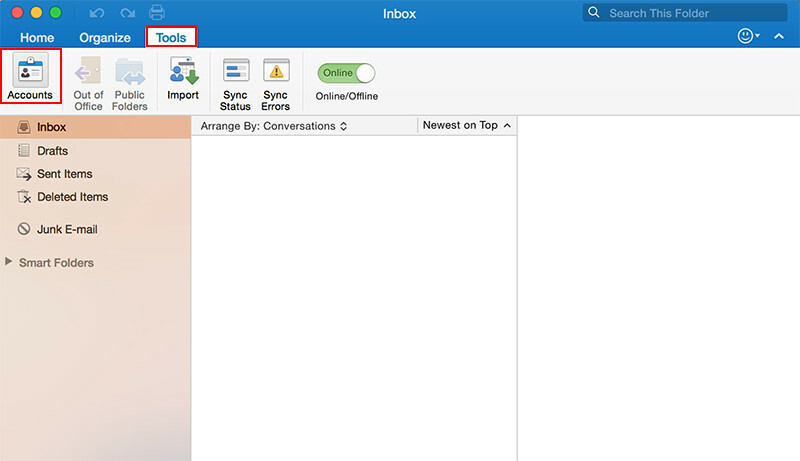 Open Outlook for Mac and Click the Tools tab. 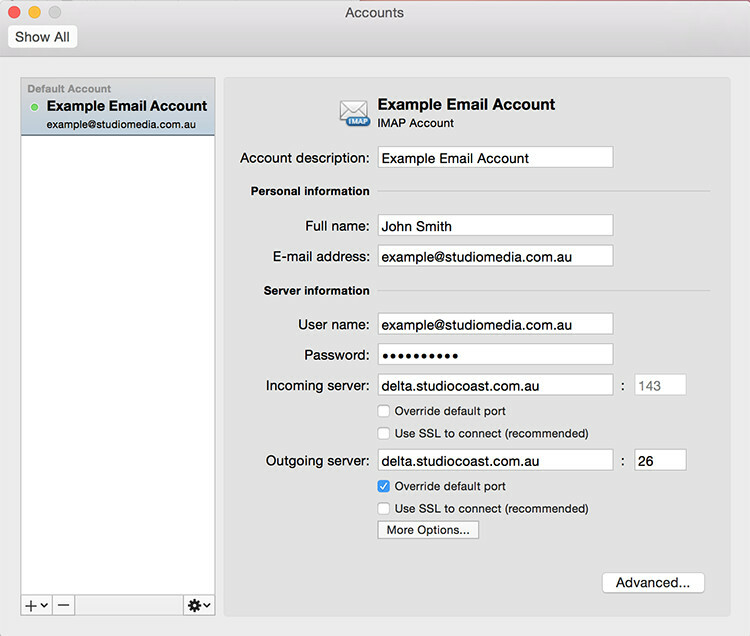 Next, select the Accounts button. 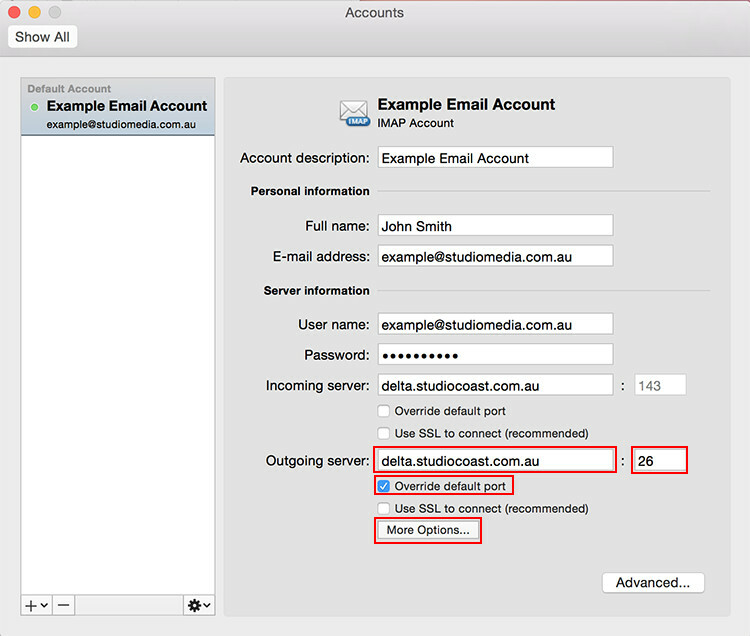 In the Outgoing Server field change the server name to the same your incoming mail server. Then select the "Override default port" checkbox and change it to 26. Once done, select the "More Options" button. 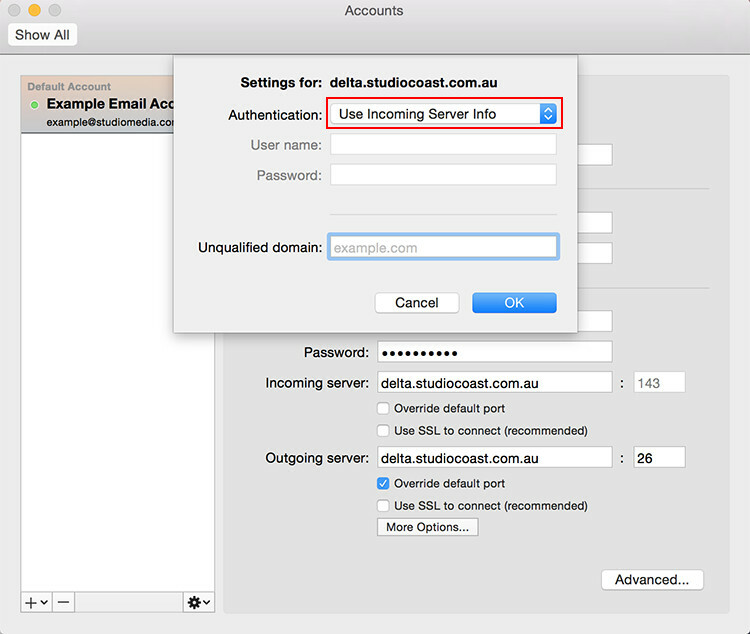 In the 'Authentication' dropdown menu select 'Use Incoming Server Info' and click OK.
You can now select the top right corner x to close and start using your new SMTP server to send emails.